If you’re like many home and business owners in Los Angeles or the surrounding areas, then you may have a natural stone of some kind in your home or business. Perhaps you have beautiful granite countertops that were installed as part of a recent kitchen remodel, or maybe your business has smooth marble floors that impress anyone who walks through your doors. 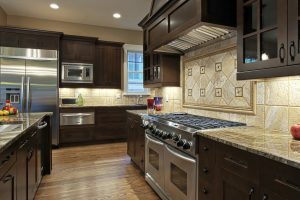 No matter what kind of natural stone surface you have in your home or business, it’s important to ensure that you’re taking measures to protect your investment. In today’s post, we’ll teach you a bit about preventative maintenance practices for several popular stone surfaces. Whether you need stone polishing or concrete services, Concrete & Marble Transformerz is the team to call! 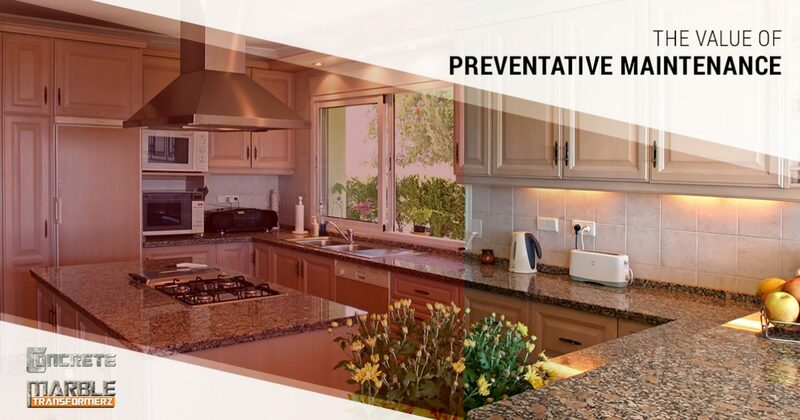 Read on to learn why you should invest in preventative maintenance for your natural stone surfaces, and get in touch with Los Angeles’ Top Rated Local® restoration company for a free estimate! Much like marble and other porous stones, granite will absorb liquids that are left sitting on the surface. We’ve discussed this point at length elsewhere, so we won’t belabor the point in this section. However, a key component of granite maintenance is applying a quality sealant to the surface. Think of granite sealant like a clear barrier between the stone and the outside world — although it looks like there’s nothing there, your granite is thoroughly protected against stains and scratches. Marble is quite similar to granite. Your first line of defense against scratches, scuffs, and stains is a high-quality sealant, so make sure that you’ve called our restoration company for an appointment before you begin cooking on your marble countertops. If you have marble floors, then you’ll want to call us for periodic marble restoration, as it’s likely that foot traffic will degrade the sealant throughout the year. Call us to request a free estimate for your specific circumstances! As we noted in one of our previous posts, concrete flooring is growing in popularity. It’s incredibly versatile, durable, and easy to install. While concrete doesn’t require as much upkeep as marble or granite, it’s important to regularly invest in concrete services, especially if you’ve chosen to stain the surface. You don’t want your floor to absorb the dirt, dust, and liquid that it will inevitably be exposed to, so give our restoration company a call to learn more about our concrete sealants. Like all of our stone restoration services, our concrete services are affordably priced and intended to help you make the most of your home or business. We hope that this post will help you keep your natural stone surfaces in pristine condition throughout the year. If you need marble polishing, granite repair, or concrete services in Los Angeles, then get in touch with a member of Concrete & Marble Transformerz. You can reach us by phone at 562-206-2729 , or you can fill out the short online contact form to get in touch with us via email. We look forward to helping you improve your home or business soon!